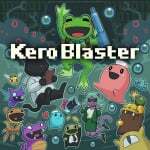 Lovers of retro-inspired side-scrolling action games will be pleased to hear Playism is bringing Studio Pixel's 2014 game, Kero Blaster, to the Switch eShop. The game is due out in Japan on 23rd August for ¥980 (roughly £7.00 / $9.00) and can be pre-loaded now according to Japanese Nintendo. In Kero Blaster, players take control of a fearless frog employee who must restore power to a series of company teleporters. The bipedal amphibian will travel to an array of locations, taking on many weird and wonderful enemies including bosses, while collecting coins and more to upgrade its weapons, health and further increase its overall chances of completing each mission. The title was originally revealed earlier this year for the Switch alongside physics puzzler TorqueL and RPG Croixleur Sigma. There’s currently no word on a western release for Kero Blaster, so in the meantime, check out a brief clip of the game below, and tell us in the comments if you would download this on your Switch. Why yes I would download this on my Switch. It's been on phones for ages but I've always wanted to play it using proper controls. I definitely plan on buying this again. Pixel is such a huge inspiration to me. @Other-Brother You know this game also has been on steam for well over a year right? But no matter as I don't game much at all on Steam. Everything's better on Switch anyway! This was a good game on mobile. I don't mind the virtual buttons since I play so many mobile indie games, so I probably won't get it again though. I've had this in my phone for years, literally. Still never fired it up. I'm far more likely to play it on Switch. Hmmm... Decisions, decisions... Good price, too. Why couldn't Cave Story have been the same price? Curse you, Nicalis! @Other-Brother the free "pink" side game is on there too. Hope it comes with this. I think I already have it in my library on Steam. Oh boy, physical edition when? @PhilKenSebben That would be great. I played it on my phone and that made me want the "full" game but I wanted buttons. So I shall get it on Switch. @Other-Brother it definitely would be more at home on Switch then PC or phone. Can someone confirm for me that this game is basically Cave Story with a frog protagonist? It sure looks like it. And if that is in fact true this is a no brainer for me. @Oat Not at all. Relax! I actually didn't know so I'm happy you let me know. 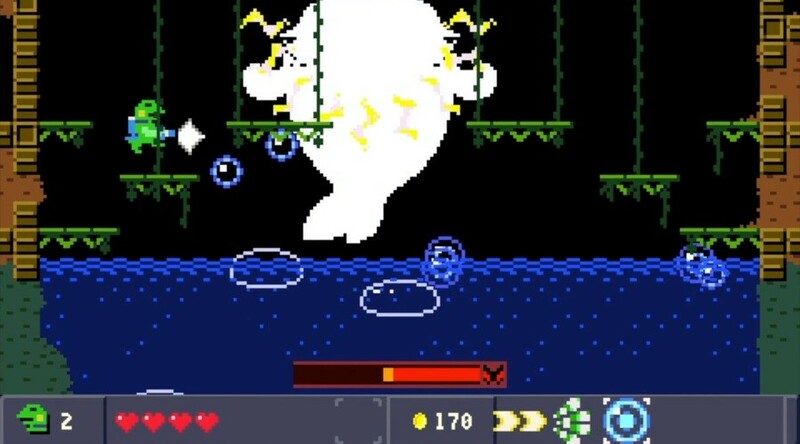 I never did get to play Kero Blaster, but as a huge fan of Cave Story, I really have to get around to it. Hoping for a Switch release in the west.